Watch The Vampire Diaries Season 7 Episode 13 online via TV Fanatic with over 7 options to watch the The Vampire Diaries S7E13 full episode. Affiliates with free and paid streaming include Amazon, iTunes, Vudu, Netflix, YouTube Purchase, Google Play, and Verizon On Demand. 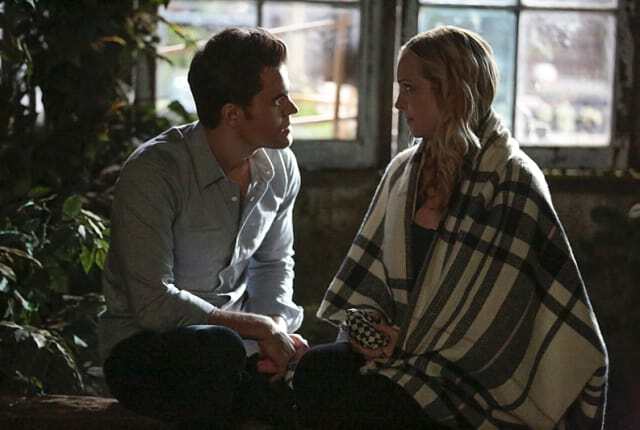 Caroline's life is in the balance on The Vampire Diaries Season 7 Episode 13, forcing Stefan and Valerie to spring into dangerous action. Damon: Go ahead. Let it all out, Bonnie. I’m a vile cheater. I couldn’t even wait a year. Bonnie: Are you kidding me? The last thing anyone wants to deal with for the next six decades is a cranky, bitter, sexless Damon Salvatore, okay? I need a drink. And a buddy. And right now you are my only buddy available to drink. I’m overlooking the fact that you nearly killed me the last time we hung out. The Vampire Diaries Round Table:Curtains For The Heretics?! ?